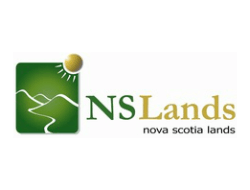 Nova Scotia Lands is a Provincial Crown corporation whose mandate is to access and where required remediate and redevelop crown-owned properties. Also, NS Lands is manager of the newly existing Harbourside Commercial Park in Sydney, Nova Scotia. Currently NS Lands is remediating and redeveloping the remainder of the former Sydney Steel Plant property. In addition, NS Lands is responsible for other properties acquired by previous owners of the Sydney Steel Plant. These properties include tracts of land located in Sydney Mines, Sydney River, Grand Lake area, Catalone, Pictou, New Glasgow and Grand Narrows. The properties contain abondoned quarries, coal mines and areas encrouched upon by residential and industrial areas.This website will keep the public informed on remediation results and areas that will be addressed.